Mylan announced earlier this year that it had expanded the voluntary recall of EpiPen Auto-injector devices sent to market between December of 2015 and July of 2016. The recall includes the 0.3 mg and 0.15 mg Auto-injectors and has no impact on generic versions of the medication. This expansion of the voluntary recall comes on the heels of further scrutiny by the FDA concerning numerous violations of the good manufacturing practice requirements for auto-injector devices. If you or a loved one has been injured or died while using a defective auto-injector, the Chicago medical malpractice attorneys of Rosenfeld Injury Lawyers LLC can help you recover the damages needed to move forward with your life. 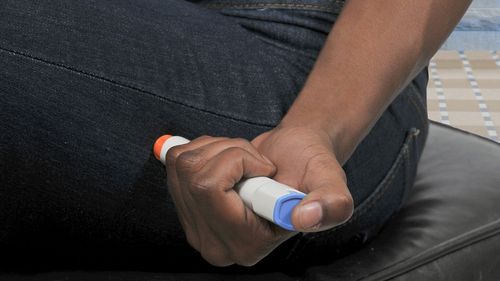 The EpiPen is an auto-injector distributed by Mylan designed to administer an emergency dose of epinephrine to those who have come in contact with foods or substances that can cause a severe allergic reaction. They are manufactured by Meridian Medical Technologies, which is owned by Pzifer. Mylan has come under intense pressure by numerous medical and consumer advocacy groups due to its controversy over price gouging and its quality control protocols. From 2007 until present, the price of a two-pack of EpiPen Auto-injectors has skyrocketed from about $100 to $600, which marks a 548% rise. At the same time, reports have surfaced that many of the auto-injectors have been found to be defective and would not administer the medication when required. Mylan was subject to a $465 million fine when it reclassified the device under false pretenses to be able to defraud Medicaid through overpricing the medication. The EpiPen is prescribed to over 3.6 million people every year in the United States— many of whom are children under the age of 18. There are also over 300,000 visits to doctors and emergency rooms every year because of an anaphylactic reaction. Component failures in over 80,000 devices have placed Americans at risk of not having access to this life-saving medication when it is needed the most. In two warning letters to Mylan, the FDA stated the following. Mylan failed to perform an adequate analysis of why its devices were not working as intended. The company made the false claim that the failure of its devices was too rare to warrant a recall. Meridian did not respond to consumer complains in a responsible or sufficient manner. Meridian also failed to take the necessary steps to assure that the devices it manufactured passed reasonable quality control standards. Millions of Americans have allergic reactions to foods, insect stings or bites and many substances inhaled through the air. Some of these allergies are severe and cause a severe and often life-threatening reaction known as anaphylactic shock. The symptoms include the following. For many of us, the symptoms of an allergic reaction are mild and can be managed by avoiding the allergen and taking over the counter medications. However, for others, contact with certain foods or substances could cause such a rapid and severe reaction that emergency treatment is required. The purpose of the EpiPen Auto-injector is to administer enough epinephrine to treat the reaction long enough for the person to see a doctor for treatment. It is for this reason that numerous lawsuits have been filed against Mylan for failure to ensure that the devices fulfilled their intended purpose. If you or a loved one has suffered because of a defective auto-injector, the Chicago EpiPen attorneys of Rosenfeld Injury Lawyers LLC would like to invite you to arrange a free consultation so that we can help you recover the damages that you deserve. If we cannot help you, you can be certain our services will be free of charge.